HOW DO YOU DEFINE "IMPACT"? 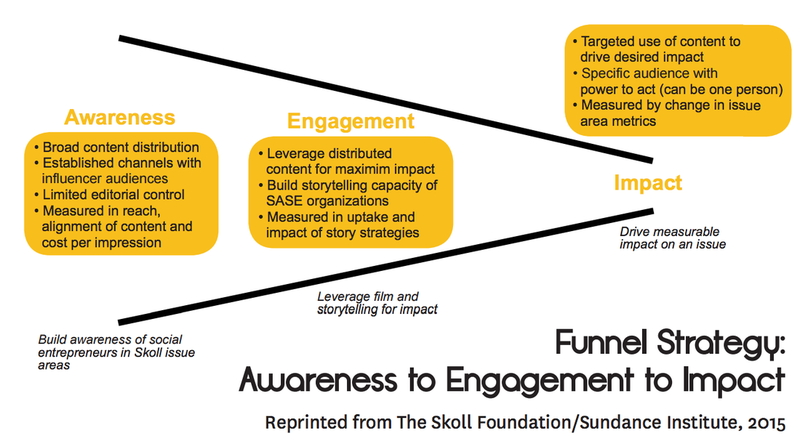 This guide provides a thoughtful snapshot of how funders and public interest outlets have been working through the process of setting meaningful goals, identifying key audiences, measuring engagement and demonstrating impact. 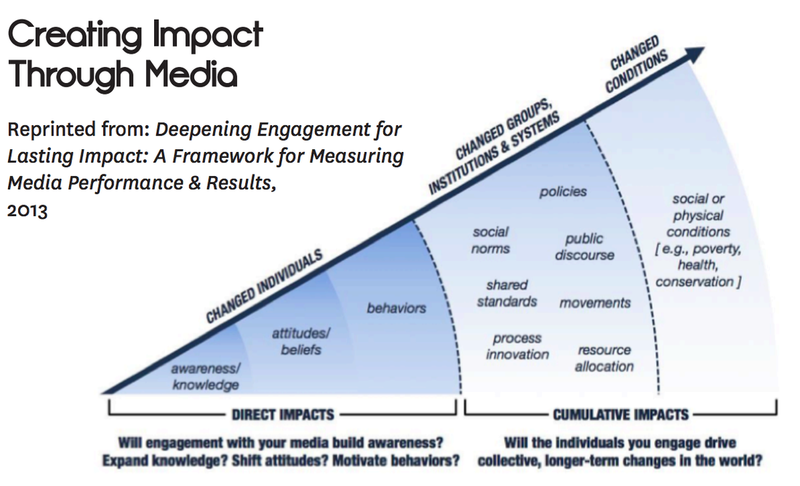 It also offers a model (below) that gets to the crux of the debate about evaluating journalism. 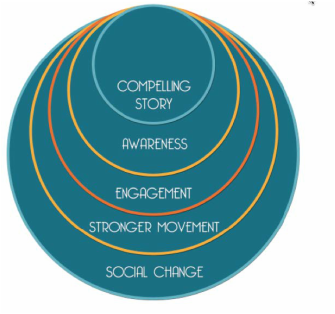 These models can’t capture the full range of factors that influence individuals and stakeholders, but they are clarifying for those who practice journalism that accepts social change as part of their mission. These might include investigative journalists seeking to rally support to right a wrong, accountability journalists who want to mobilize public support against corruption, or advocacy journalists focused on reporting stories that bolster the case of a particular movement or group. Each of these forms has played a long and storied role in journalism’s history, as journalist Finley Peter Dunne famously said, working “to comfort the afflicted and afflict the comfortable.” Josh Stearns, the Geraldine R. Dodge Foundation’s Director of Journalism and Sustainability, notes in a post on the foundation’s Local News Lab that this historical impulse is resurfacing in a raft of online journalism startups.